A five-day sponsored trek along the Great of Wall China has raised more than £14,000 for Manx charity Junior Achievement. 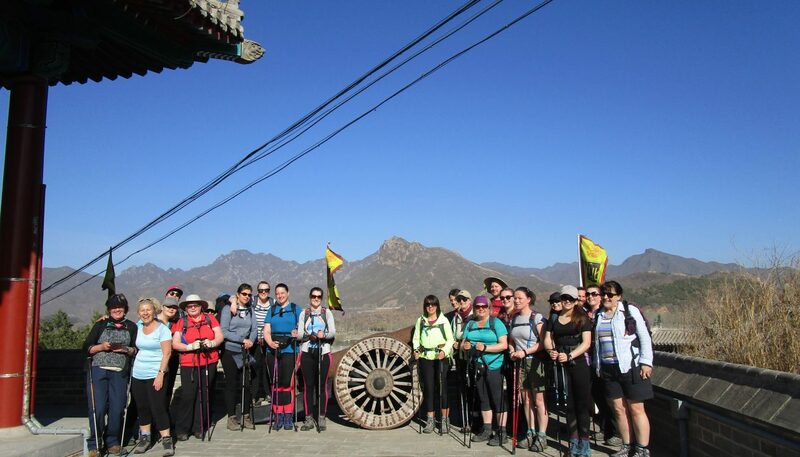 23 people from the Isle of Man took part in the challenge which saw them trekking on different sections of the wall including Jinshanling, Gubeikou, Mutianyu, Huanghuacheng and Badaling Great Walls. Junior Achievement chief executive Sue Cook was among the trekkers. She said: The trek was extremely demanding. We had to tackle some sections which hadn’t been renovated, which involved steep ascents and descents and lots of uneven steps. ‘The trek offered some truly breath-taking views but at the same it was an extreme mental and physical challenge. There were times when we were trekking along a path less than two feet wide with sheer drops either side of you. ‘For some of the group it proved to be a life-changing experience and what made it extra special was all the support and help we gave each other. ‘We’re very grateful to everyone who sponsored us, as well as to our families and friends for their support and encouragement. Junior Achievement has organised another trek, this time to Vietnam, during half-term week in October 2019. If you would like to find out more call Sue Cook on 666266 or email sue.cook@jaiom.im.